All Wings Birding Tours tours, river cruises, expedition cruises, and adventure trips. Find the best guided trips and expert planned vacation and holiday packages. 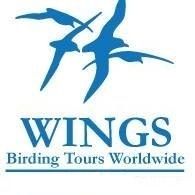 Average rating of 0.0 for all Wings Birding Tours trips. Trip offers a wide array of scenery and birds. The constant supply of fresh tropical fruits and amply apportioned dinners are a bonus. We’ll explore most of Goa’s major birding sites and familiarize ourselves with a wide selection of its birds. We’ll encounter many species endemic to peninsular and south India as well as a large number of wintering species from farther north and more widespread Asian birds. Wonderful birds, exquisite beaches, delicious food and the easygoing Goan lifestyle: it’s almost too good to be true.